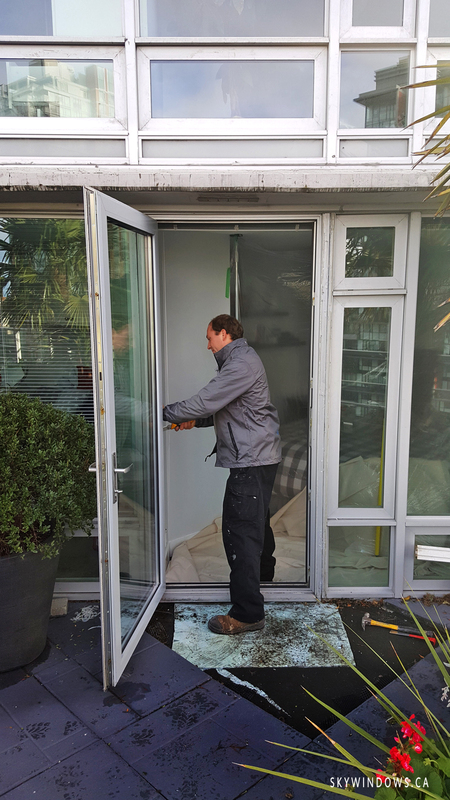 One of the biggest problems for the home owners is leaking patio doors both sliding and regular ones. It normally happens during a heavy rain storm when water is sprayed at a certain angle or in winter when snow melts. 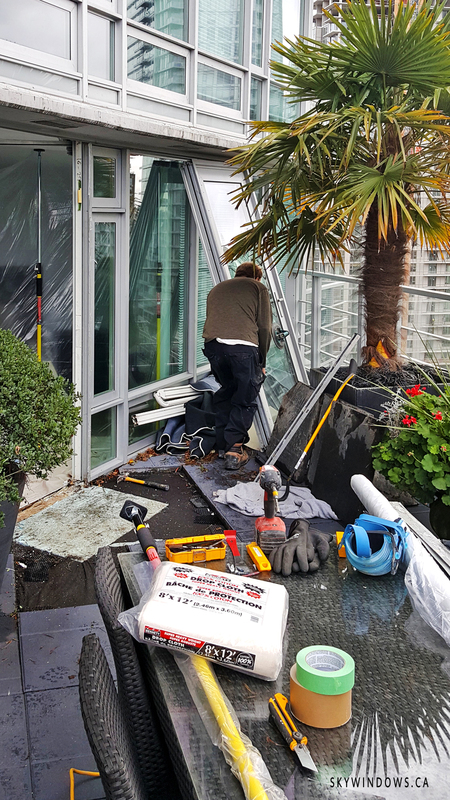 At Sky Windows Ltd. we have many solutions you can choose from. 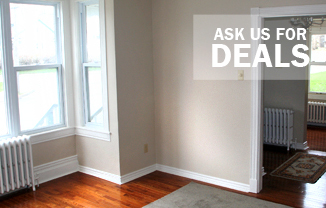 We can repair the doors or install the new ones. ANYWHERE IN GREATER VANCOUVER - Anmore, Belcarra, Bowen Island, Burnaby, Coquitlam, Delta, Langley City, Langley Township, Lions Bay, Maple Ridge, Abbotsford, New Westminster, North Vancouver City, North Vancouver District, Pitt Meadows, Port Coquitlam, Port Moody, Richmond, Surrey, Tsawwassen, Vancouver, West Vancouver, White Rock, UBC, Mission, Chilliwack, Maple Ridge, Whistler and more. 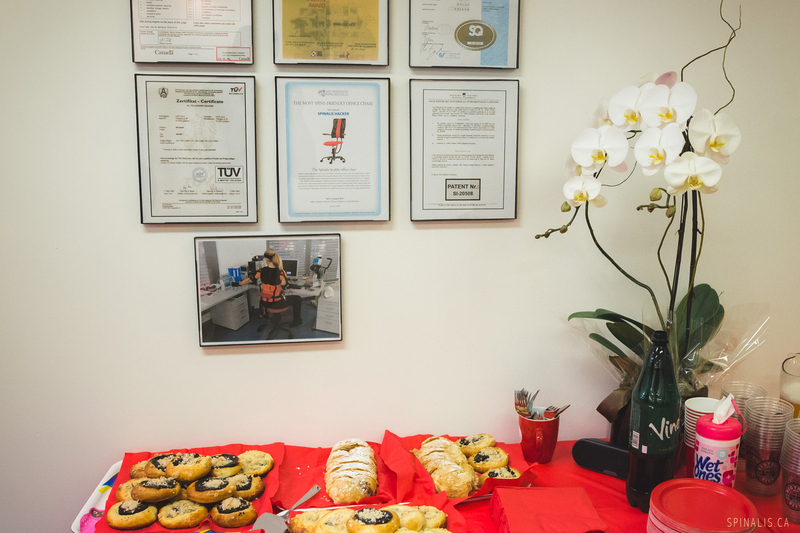 Proudly serving our customers since 2002! 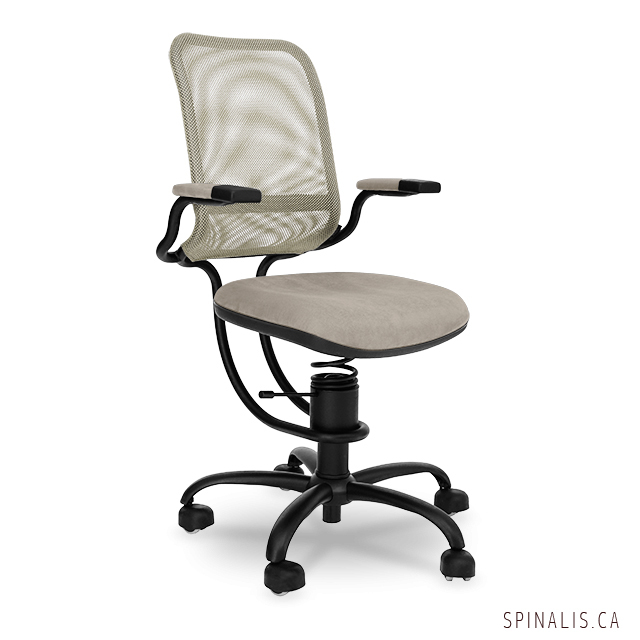 What does ACTIVE SITTING with SpinaliS Canada Chairs do for you? 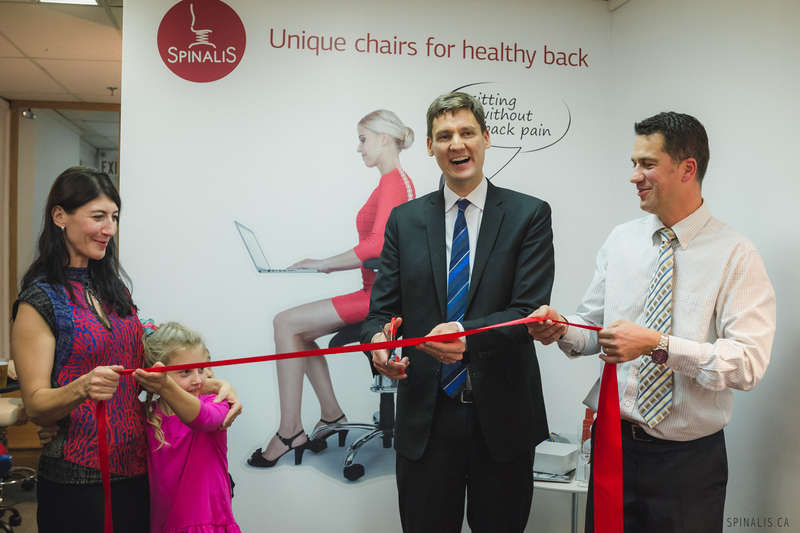 SpinaliS Chair with a movable seat on a spring not only prevents back pain, but is the only chair that also treats it! 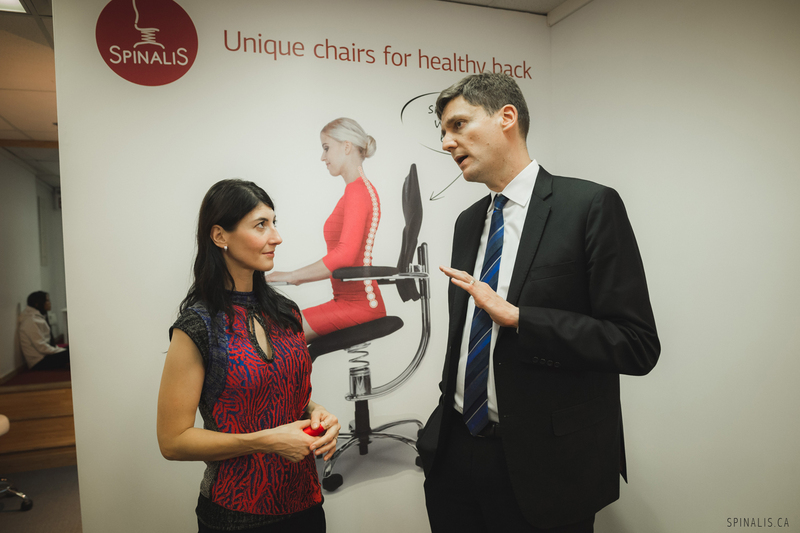 to improve the posture, relieve the back and neck pain, activate the week back and core muscles, relieve the pressure on the spinal discs, allow better oxygen and blood circulation, and other proven health benefits of active sitting on SpinaliS chairs. People are increasingly faced with back pain. The main causes include prolonged sitting in front of the computer, sitting on low-quality chairs and poor posture. Back pain is often chronic, long term, almost intolerable and it seems incurable. In most cases there is no help from long term use of painkillers, as the body builds up tolerance and the drugs lose their effect. Also, pain relieving gels and ointments can not be used indefinitely. Not every one of us has enough time or money to be able to afford massage sessions or do exercise regularly. Modern time comes with a seemingly simple and uncomplicated solution to these problems. Just sit down and your back will learn how to exercise and relax. You need a proper chair for comfortable and healthy sitting and there are not many of those. 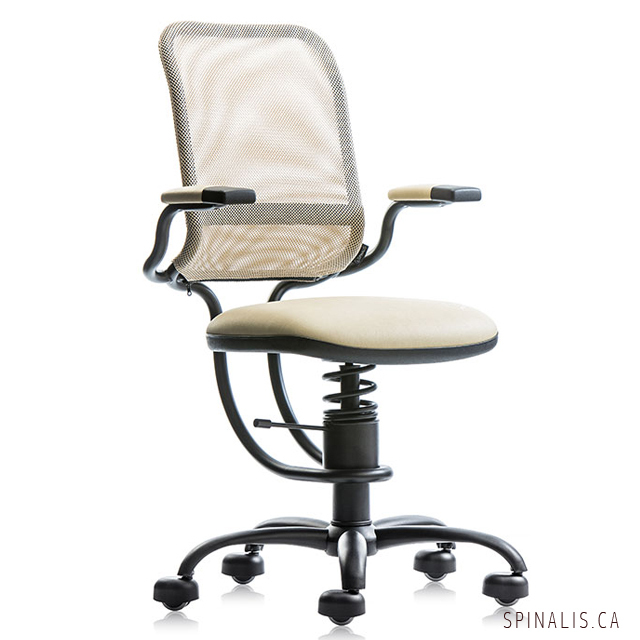 SpinaliS Chair is a health chair that constantly keeps the body in the correct sitting position. It helps to reduce short and long-term neck, back and lower back pain, as well as preventing it. 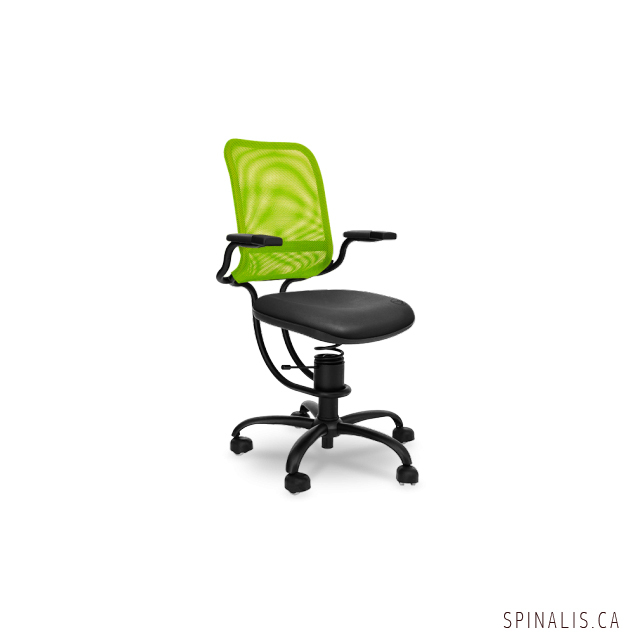 SpinaliS simulates active sitting on a fit ball combined with the comforts of a modern office chair. This is most definitely appreciated by people in offices, people working all day in front of the computer and generally people spending long periods of time behind a desk. 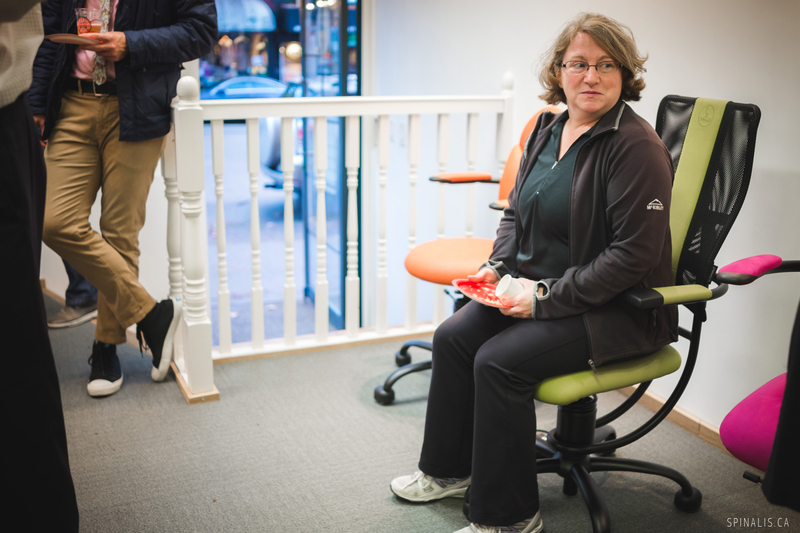 ACTIVE SITTING = Balancing movable seat on a spring is changing passive sitting to active movements of the back, lower back and your abdomen. In everyday activities at the office; while you are working with the mouse, searching in the drawers, reaching for the phone, typing on a the keyboard, your muscles will be actively involved without any conscious feeling! 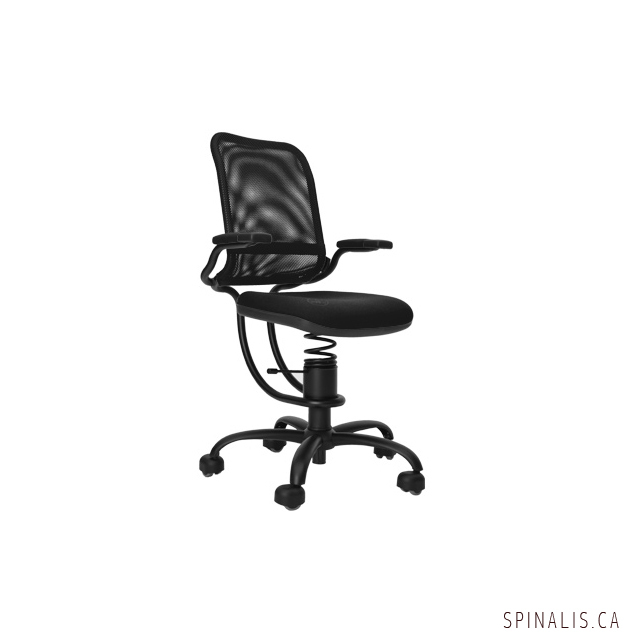 Health Canada has certified SpinaliS chairs as a Class I Medical Device to prevent spinal problems and treat existing ones. 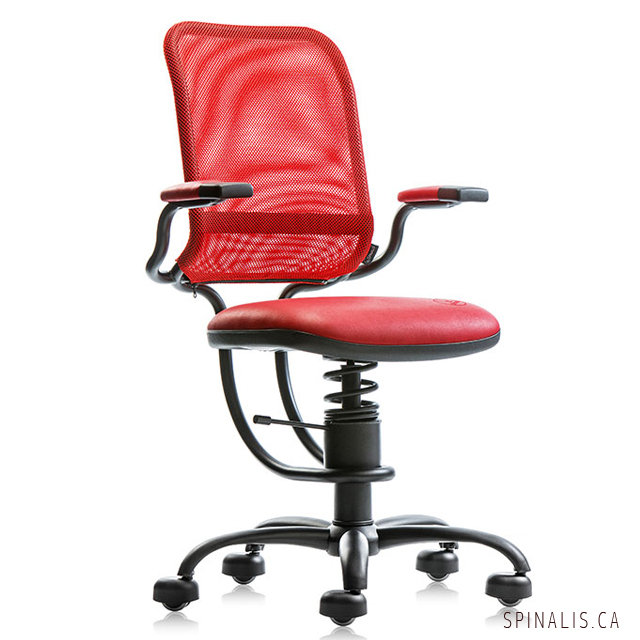 Design of the SpinaliS Chairs is an eye candy - your customers will definitely notice them! 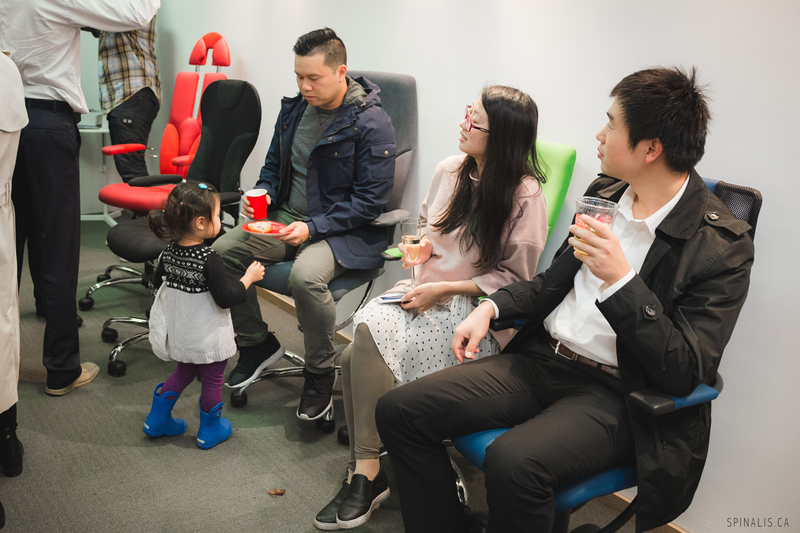 With arrival of the new generation of SpinaliS Chairs in Canada we managed to close the gap between your daily active lifestyle and backbreaking health wrecking sitting at your office. Now you can STAY ACTIVE all day long with SpinaliS Chairs!!! 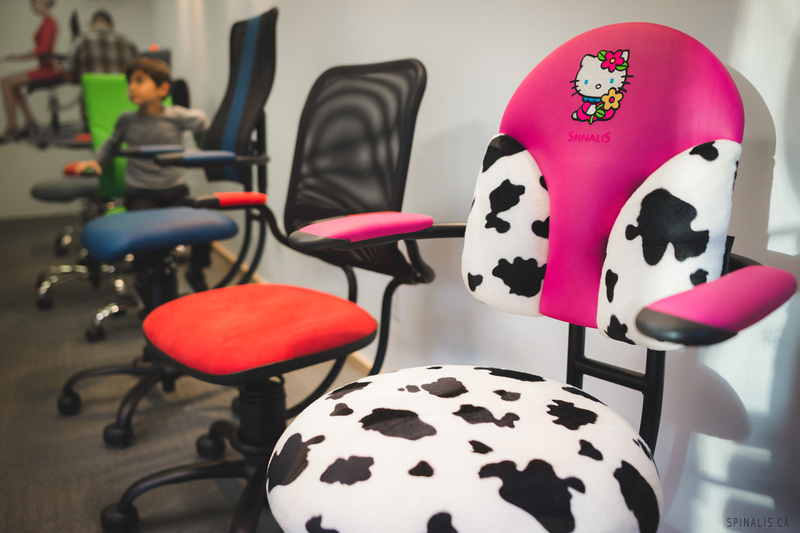 Active sitting occurs when seating allows or encourages the seated occupant to move. 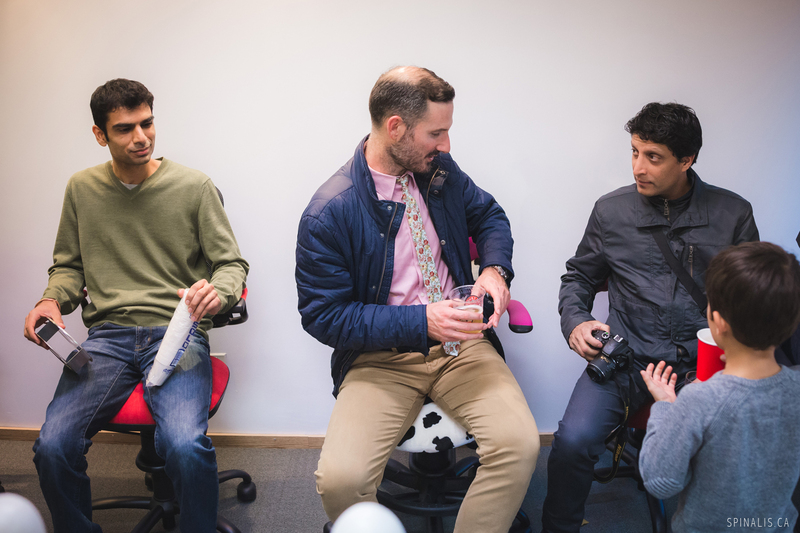 Also referred to as dynamic sitting, the concept is that flexibility and movement while sitting can be beneficial to the human body and make some seated tasks easier to perform. One of the earliest forms of active sitting is the common rocking chair which allows forward and backward swaying motion. Boxing Day is a secular holiday that is traditionally celebrated on 26 December, the day after Christmas, or the following day should the 26th be a Sunday. 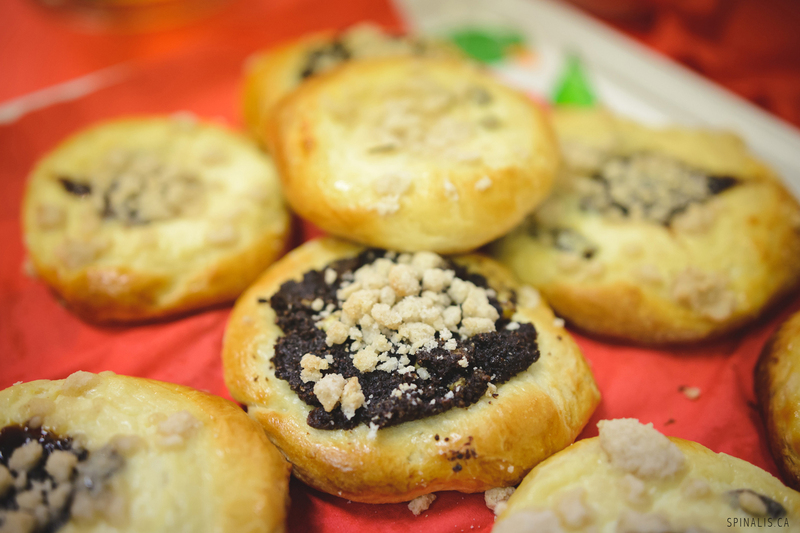 26 December is also St. Stephen's Day, a religious holiday. When 26 December falls on the weekend (Saturday or Sunday), the Boxing Day public holiday is moved to the following day (27 December). In CANADA, Boxing Day is a bank holiday. On the occasion when Christmas Day is on a Saturday, the following Monday is Boxing Day and Tuesday the substitute bank holiday for Christmas Day. 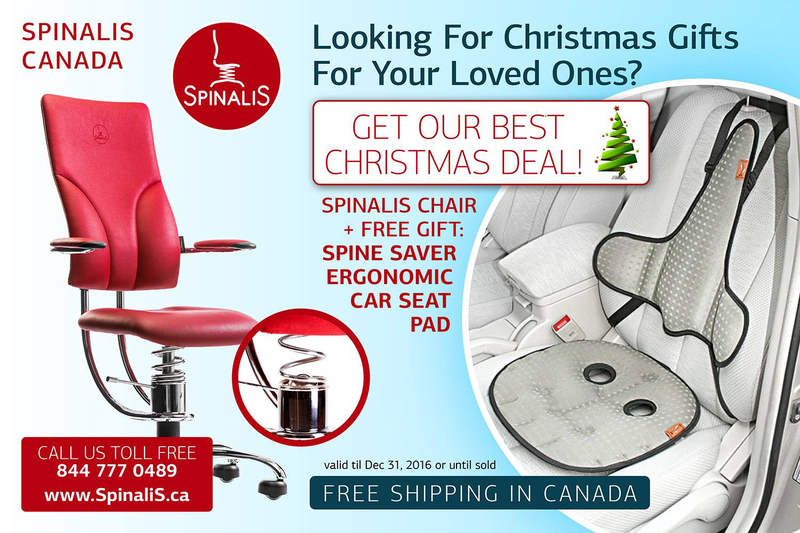 SpinaliS Canada is the only source for the greatest HEALTHY Christmas GIFT IDEAS! SpinaliS Canada is the world's leader in the NON PILL pain killer solutions for the people who suffer from lower back problems. 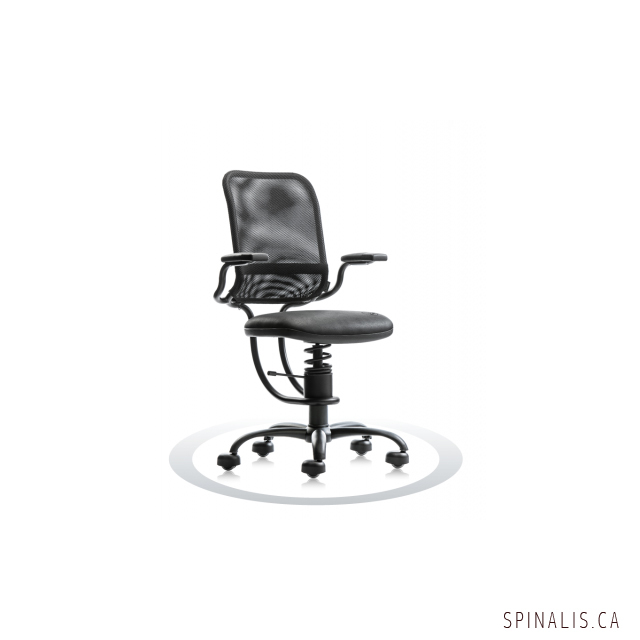 SpinaliS Canada chairs are a Class I Medical device certified by Health Canada. Great for home owners, building managers and commercial property owners. 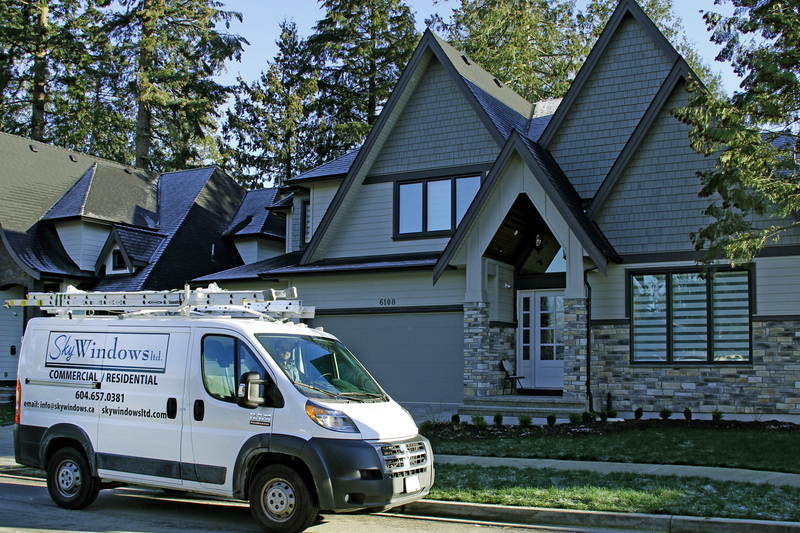 FREE Heat Loss Survey for Windows and Doors in Langley, Burnaby, Richmond, Coquitlam, Delta, Surrey, Abbotsford, Chilliwack, Whistler, North Vancouver, West Vancouver, Maple Ridge, Pitt Meadows, Mission, White Rock, Tsawwassen, UBC, Port Coquitlam or Anywhere in Greater Vancouver. 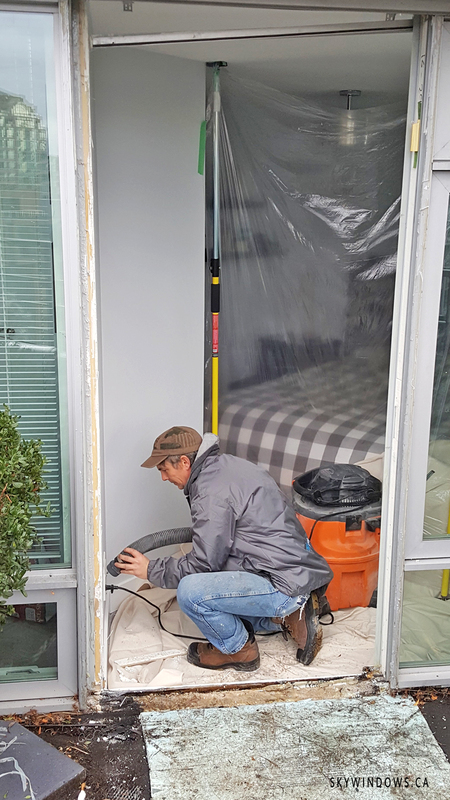 Affordable Residential Window and Door Installation and Replacement - Anywhere in Greater Vancouver Free heat loss survey and financing available! 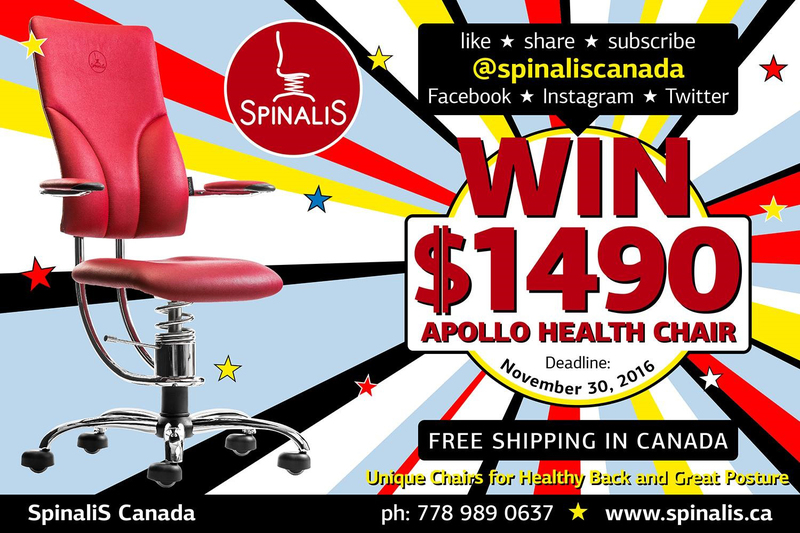 Win a SpinaliS APOLLO Series Health Chair valued at $1490, which is a unique chair for a healthy back and great posture. 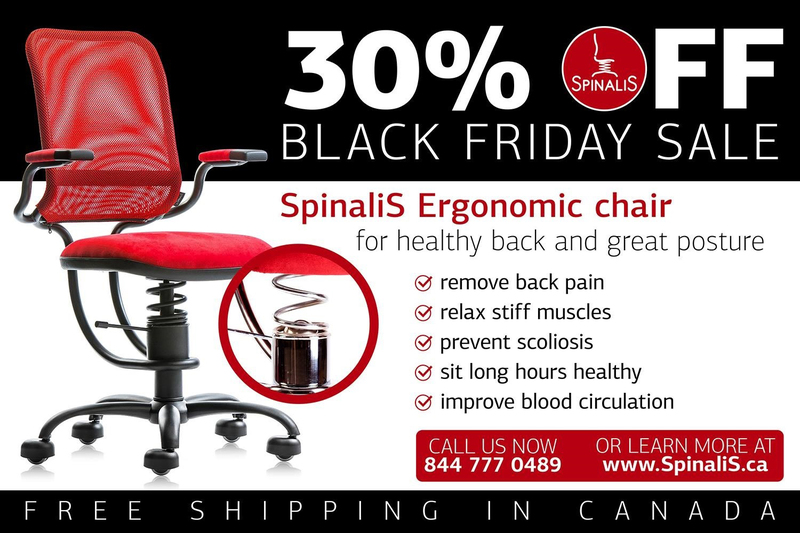 Massive BLACK FRIDAY SALE of SpinaliS chairs in Canada is on! My name is Deanna. I'm a registered dental hygienist; so, I spend a lot of my day sitting, long hours working on patients. It is very important to have a proper chair. I got a lot of shoulder pain, a lot of back pain and the hips; therefore, it is very important to sit up straight to have that correct alignment of the spine. With the SpinaliS chair I can do that and still have a good range of motion working around the patient. 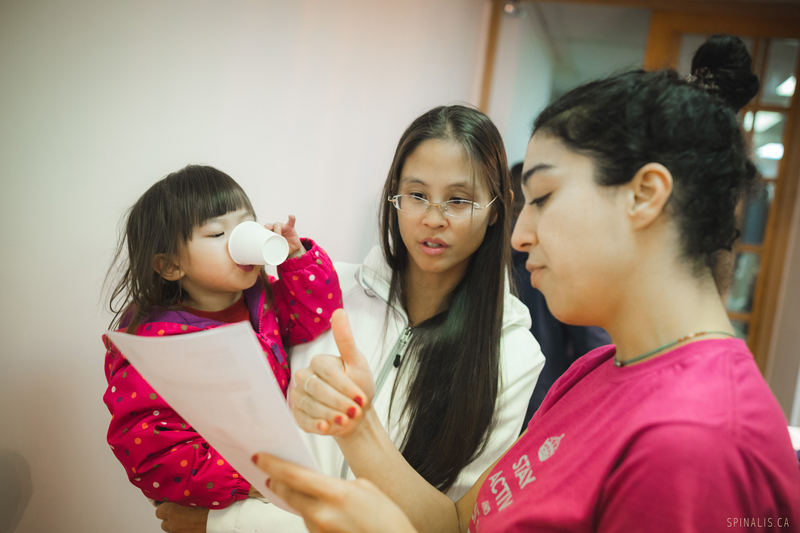 I have been practicing as the registered dental hygienist for the last six years. I definitely start feeling affect on the body. The biggest problem I have with my profession is maintaining proper posture, maintaining my own health, my back, neck, shoulders and all that. All the other hygienists talk about it as well. 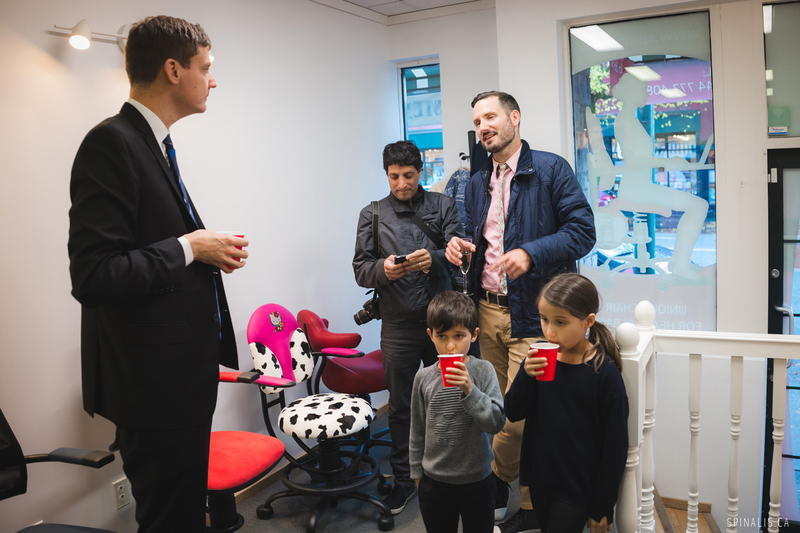 It is really important to focus on proper ergonomics, it is part of having a proper equipment to work with you know, investing in your health, something you do every day. It is definitely worth it! 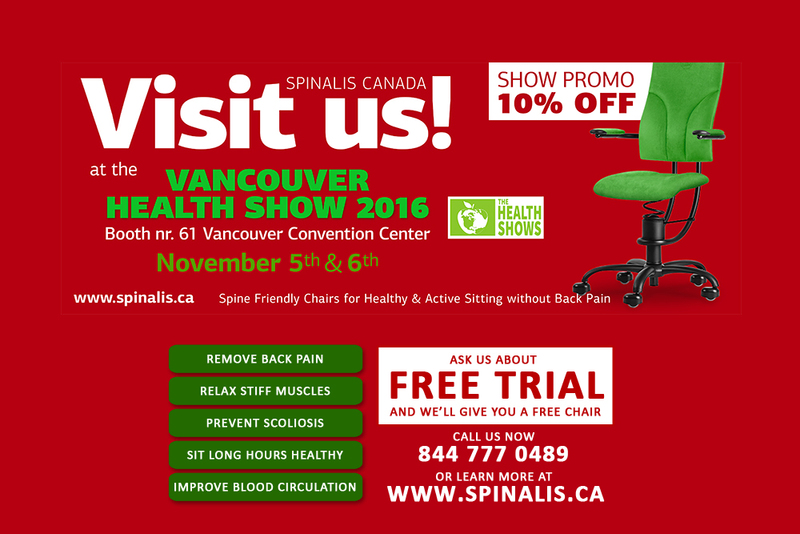 Visit SpinaliS Canada booth #61 at the Vancouver Health Show that will take place at the Vancouver Convention Centre ​East. The Vancouver Health Show is a two day consumer event for the health conscious individual, on November 5 & 6, 2016 at the Vancouver Convention Centre. The Vancouver Health Show offers you health products, services, health experts, demonstrations, seminars, food sampling and the convenience of having it all under one roof for one entirely awesome weekend of shopping and education. Meet the people who know what it takes to create a home that loves the planet. Discover the best new products on the market that will inspire every room in your home to be clean and green, fresh and organized, harmonious and functional. From nutritional supplements to alternative therapies to fitness trends to food products, The Vancouver Health Show features a diverse array of health options for you to explore. 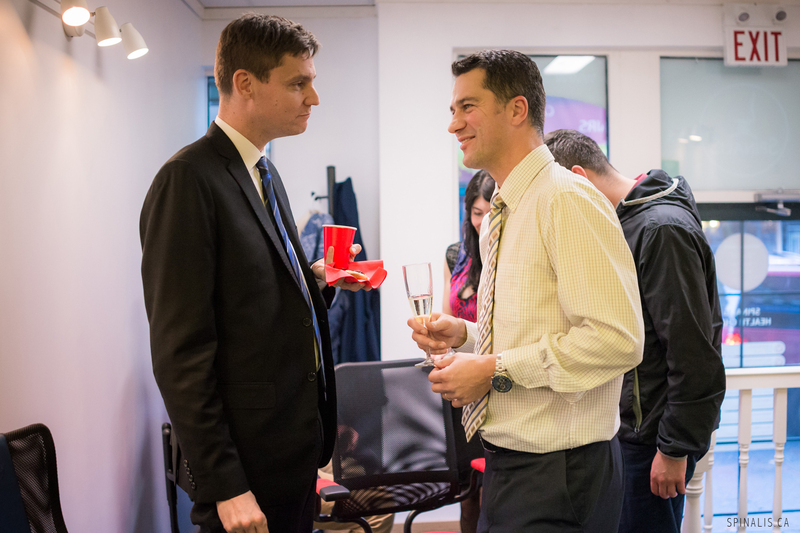 Come armed with your questions, and let the experts share their knowledge with you. The average person spends around 13 hours a day sitting! That's 30 years of your life! To put that into perspective that's more time we spend on both driving and sleeping combined. I mean you wouldn't drive one of these and you wouldn't sleep on this; so, why are so many of us still sitting on this? That doesn't sound like fun especially since your back has been pretty good to you in the past. So why shouldn't you show some love in return. Built from the ground up to work with your body and everything you do through the day combining the health benefits and comfort to treat your back in the way it deserves. Besides from providing a comfortable experience SpinaliS helps to prevent those nagging issues caused by prolonged sitting. The average North American with neck and back pain will spend up to 2500 dollars a year on treatment. Those occasional massage visits can really add up. Now I know what you are thinking. 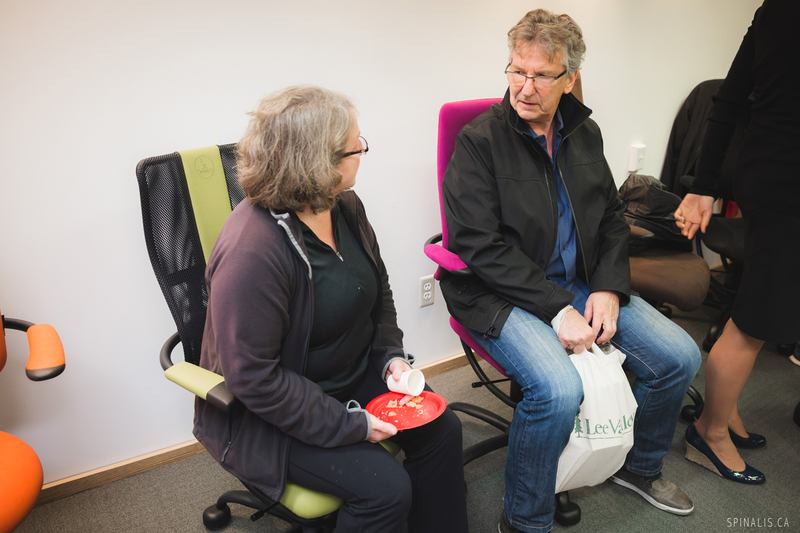 There are lots of options out there that can help with back problems than just one type of chair. Sure! Most probably you have seen some folks use this thing here. Sure it engages core and improves your posture, but doctors do not recommend that you sit on it for more that 2 hours in a day. Also, you are sitting on a ball. Standing desks are also an option, but they do not really allow you to focus in on your work keeping almost cat like state of physical readiness ... almost! 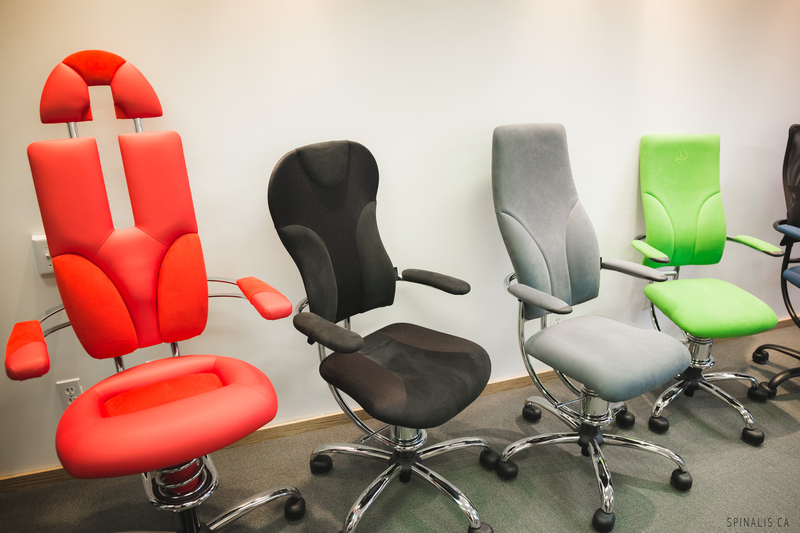 An ergonomic office chair is the most popular choice, but as long as it has a fixed seat your body will find the ways to make it not so ergonomic including reducing circulation in your legs. 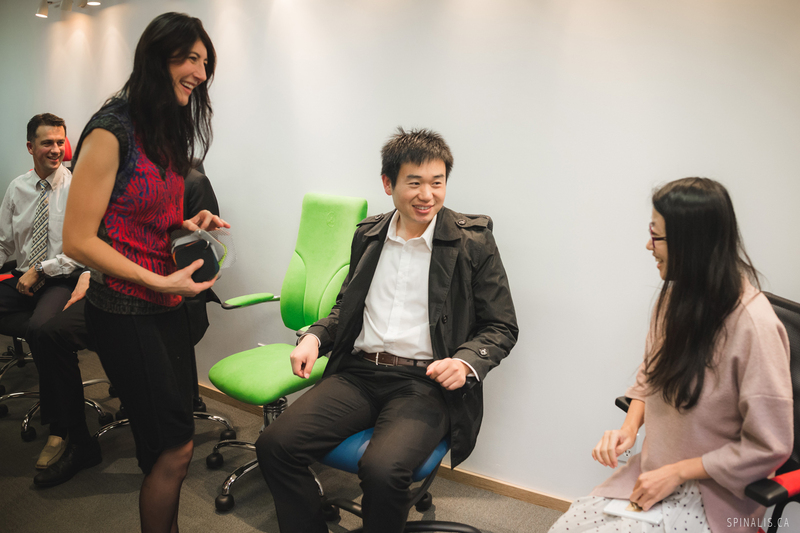 But unique movable seat in all SpinaliS chairs follows your body to ensure that you sit comfortably and healthy throughout the long day improving your posture, relieving stress on discs, relaxing neck muscles, strengthening core and back muscles, and remaining safe for the long term use. SpinaliS has over 100,000 satisfied customers world wide and that's not even including the little ones. So what do you say? Is SpinaliS the right choice for you? I guess that's settles it! 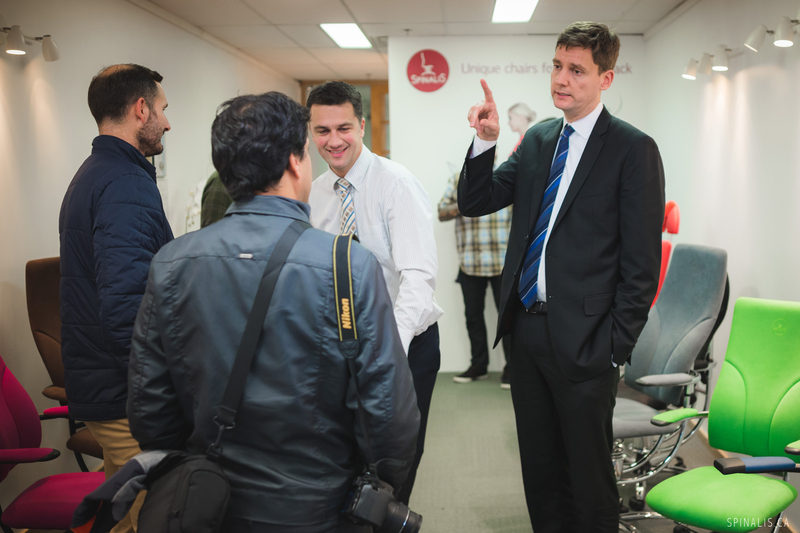 We will answer all of your questions, help to select the right chair or even give it to you for a FREE TRIAL!